Time for another installment on my nails of the week! I finally got in my order of CND Vinylux polish and top coat. I picked out a pale pink that reminds me of one of my favorites - OPI Mod about you. Let's take a look and see how well I was able to rock this weekly polish. 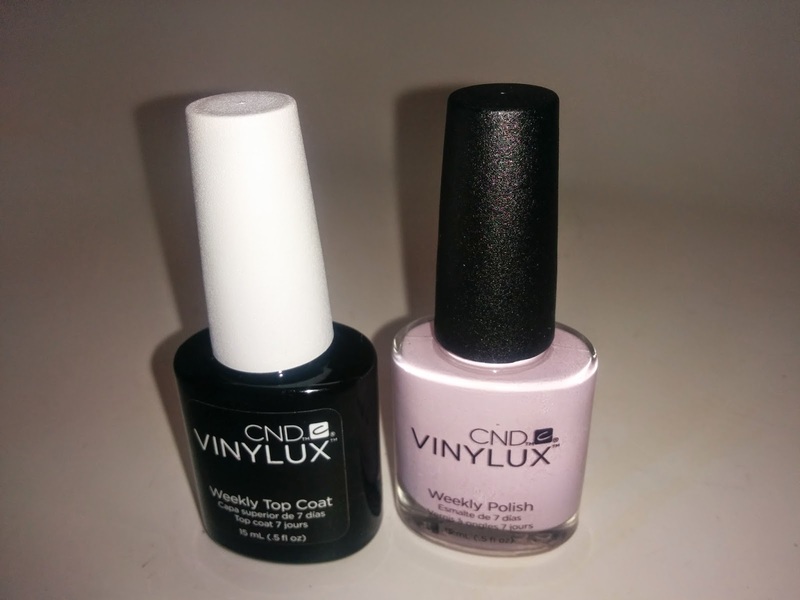 I ordered the CND Vinylux Top Coat and Weekly Polish from Amazon. 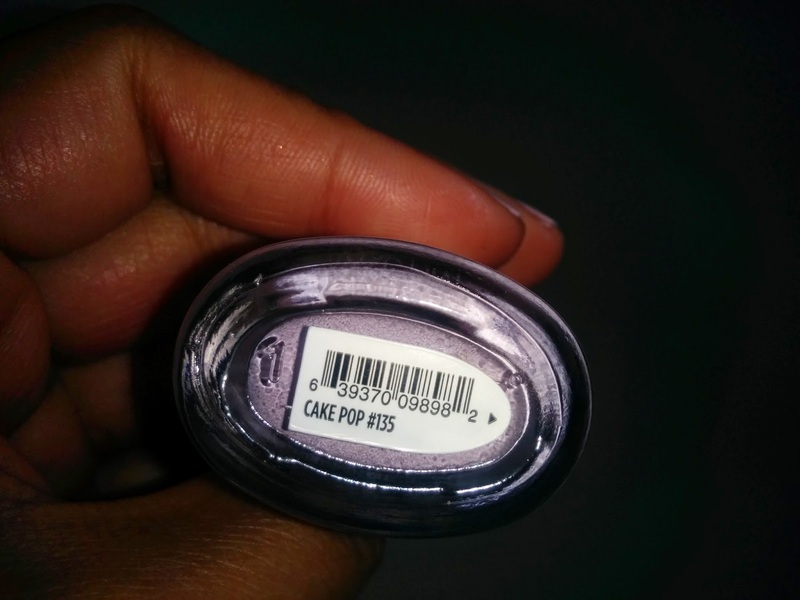 You have to pair this specific top coat with one of their polishes or the system won't work. I will say, application wasn't as easy as I hoped. I'm not sure if this nail polish I got was old, but it was a little thicky and clumpy to apply. I might try to order another color just to see...i'm thinking something nice for Fall. 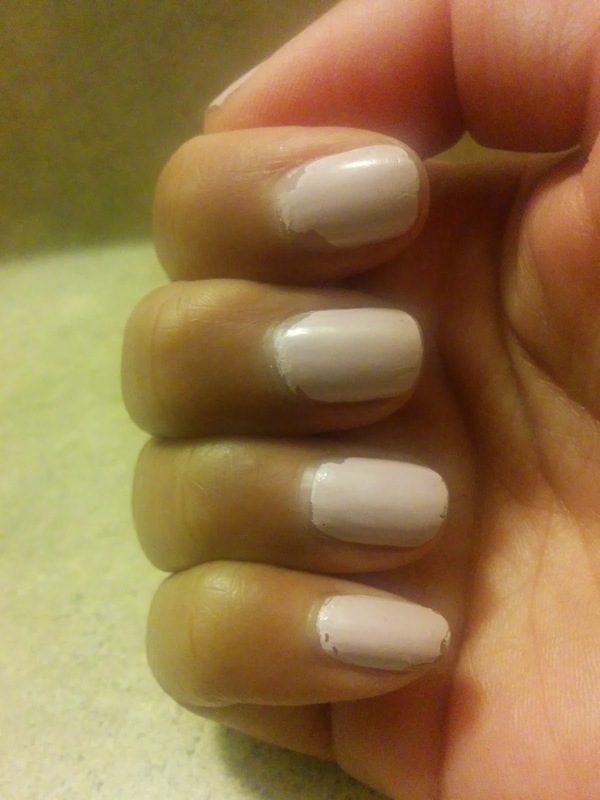 I tried really hard to get the base of my cuticles nice and neat by going around the edges with an eyeshadow brushed dipped in acetone. Here is the polish after a week. Excuse the bad lighting. Notice how the tips are hardly worn but it's peeling at the base? That's due to my overzealousness with the nail polish remover...I think I removed part of the base coat. Lesson learned! I think the next time I try the CND Vinylux I'm going to get it down in a nail salon. It's about time for a manicure anyhow. Stay tuned for next week's nail post where I give Essie Nail stickers a shot! Add a few drops of nail polish thinner to it and shake it up. It will fix the clumping issue. You can get it at Sally's.